The streets of Hounslow are being mapped prior to the start of autonomous vehicle trials that will support the operation of an autonomous fleet in 2019. The move to London follows successful ongoing trials in Oxford by the Oxbotica-led DRIVEN consortium, which is working toward fleet-wide Level 4 connected autonomy. The vehicles mapping the streets of Hounslow are expected to be autonomous by Christmas 2018. Nominet and insurers AXA XL will test data transfer in what has been described as the ‘most all-encompassing autonomous vehicles trial to date’. Hounslow is seen as a key link between Oxford and London and data gathered during these trials will support the consortium’s plans to run a fleet of autonomous vehicles between the two cities in 2019. In the lead up to this, London trials will continue until Summer 2019. During the mapping process, Oxbotica will gather data to help understand the contents of street signs, and the meanings of lane markings on the road to enable vehicles to understand the complexities of each street. To conduct the mapping, the vehicles are fitted with technology including Oxbotica’s Selenium autonomy software, radar, lidar sensors, onboard computers, and cameras. A fully qualified safety driver will be behind the steering wheel during the trials, accompanied by an engineer monitoring the vehicle’s functions. Dr Graeme Smith, chief executive of Oxbotica, said: “Being autonomous before Christmas will showcase the huge amount of work Oxbotica’s expert team of engineers has completed since the DRIVEN consortium was established. 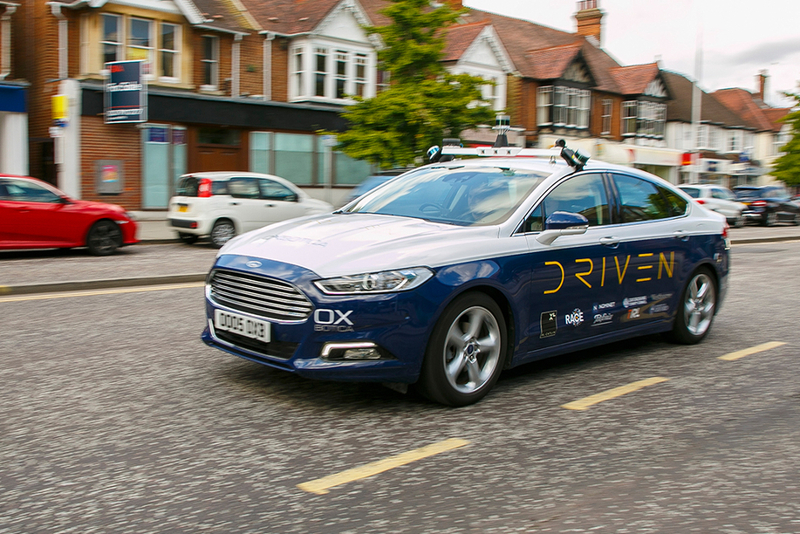 DRIVEN is an Innovate UK-backed research project formed of the Oxford Robotics Institute, AXA XL, Nominet, Telefonica, TRL, the UK Atomic Energy Authority’s robotics centre RACE, Oxfordshire County Council (OCC), Westbourne Communications, and Transport for London (TfL).